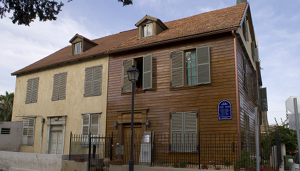 AT THE HEART OF THE JAFFA AMERICAN COLONY and next to the 100-year-old Immanuel Church, the Maine Friendship House museum is open for visitors and groups. Come during open hours or call ahead and we'll open the museum for you. Hours: Friday 12:00 - 15:00, Saturday 14:00 - 16:00. Phone: 03-6819225. 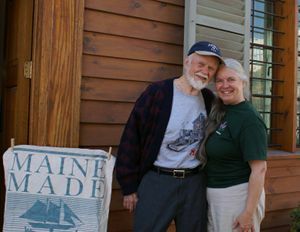 Built in 1866 by the Mark T. Wentworth family and restored in 2002 by Jean and Reed Holmes, this wooden house was brought from Maine, USA on the sailing vessel, the Nellie Chapin, along with 35 families and their wooden houses. They established the American Colony in Jaffa. In the 1890's a stone addition doubled the house to its present size. Founders Jean and Dr. Reed Holmes invite you!